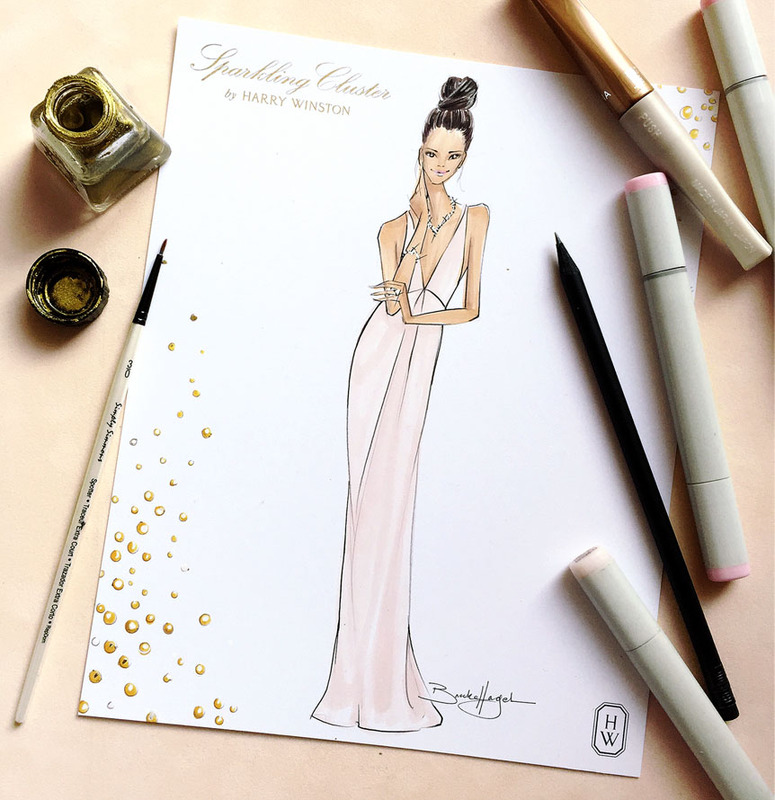 Custom illustrations for two exclusive Harry Winston luncheons. Last look illustration for Brides Magazine at the Reem Acra show. 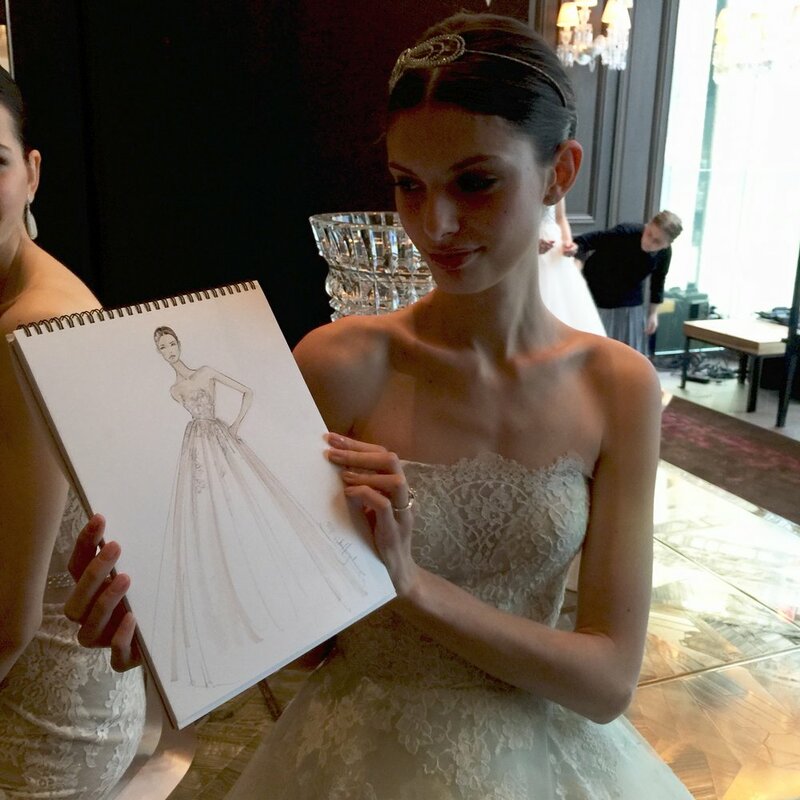 In-store live-sketching Ferragamo runway pieces at private parties and shopping events. Created an array of fashion illustrations to represent each flavor of the Sociologie Wine collection. Portfolio collection fashion illustration. Evokes sophistication and mystery. Portfolio collection illustration inspired by a pansy print Asos dress. Toured the US for Vogue & Clinique live-sketching clients using Crayola crayons to highlight their collaboration. Live sketched Bridal Fashion Week for Brides Magazine, including Monique Lhuillier (shown here,) Marchesa & Reem Acra. Custom illustrations for NYDJ brunch in Los Angeles featuring influencers and press. Beauty illustrations for Bobbi Brown displayed throughout Saks for a Vogue Magazine promotional event. Sample sketch to display for Lulus New York Fashion Week kickoff parties. Custom beauty product illustrations for Hamptons Magazine.